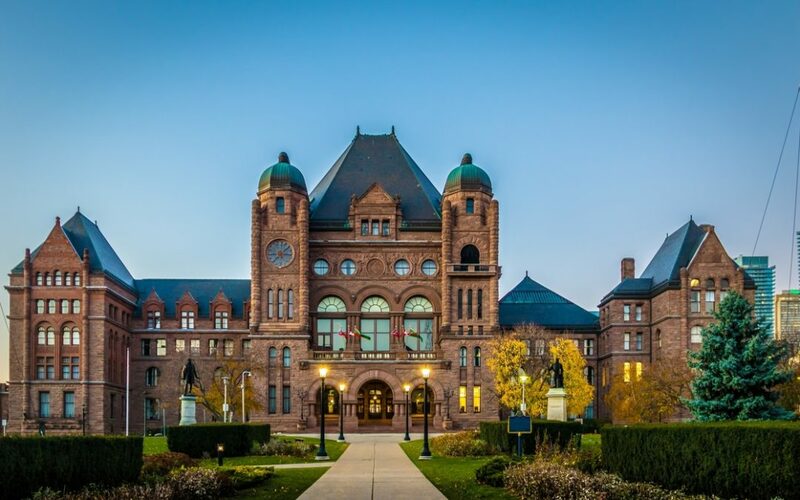 Finance Minister Vic Fedeli delivered his government’s first budget entitled “Protecting What Matters Most” – so what matters most to the Ford government? The path back to balance will take five years – a wily choice that allows the government to both manage expectations and demonstrate progress over its four-year term. At the end of their first mandate, they can either find themselves ahead of schedule, or campaign on the need to finish the job they started. It’s a win-win timeline. The current deficit stands at $11.7 billion, projected to fall to $10.3 billion in the 2019-20 fiscal year. While this progress may be too slow for some, projections are consistent with the PCs’ message of a measured approach and plans to build a fiscally sustainable government. Despite the government’s messaging of the risk of an impending “carbon tax recession,” the Province’s financial projections forecast modest economic growth throughout the remainder of the current mandate. This is a critical component of the government’s plan to return to balance by a sustained growth in revenues, while controlling expenditures. But if the economy dips into recession, meeting the fiscal plan’s targets will become substantially more difficult without further belt-tightening. It’s not enough to just make changes based on how money is spent in the budget – this government also knows how to communicate change. The new Ontario license plate, the branding of Toronto’s subway relief line as the “Ontario line,” and anti-carbon tax stickers on gas pumps all signal a real change in the culture of government. Remembering who voted you in is essential for a government hoping to maintain popularity. Allowing for tailgating and making way for alcohol consumption in public parks are on brand, but so is delivering on campaign promises like pocketbook relief to working families on the cost of child care through a new tax credit, help for seniors with a $100 million dollar low-income dental plan, and legalizing online gaming. Reducing the size of Council was an early win, despite some public handwringing. With an historic $11.2 billion transit investment – and a promise to build the relief line faster, and to build not one, but three stops on the Scarborough subway line – Ford is making an offer Toronto can’t refuse. For Torontonians frustrated with their commute (and seemingly endless debate over how and what to build), the only question is who can put shovels in the ground fast enough. The plan relies on federal and municipal governments pitching in another $17 billion dollars to make this all happen. Seven months into the government’s mandate we are for the first time seeing a detailed fiscal plan from the Ford-led PCs. This is important because all players now know the fiscal goalposts and can (and will) adjust their strategies. Ford has been criticized over the past year for what may have appeared to be ad hoc decisions – now with his first budget, it’s much clearer what to expect from the PCs going forward. While the government succeeded in getting out its message, the opposition was quick to point out that 16 ministries had their budgets cut, some quite significantly including Training, Colleges and Universities, Community and Social Services and Environment. More perspective on whether these are deep cuts or efficiencies will be revealed when government estimates (line-by-line budget details) are released over the next month. It can be expected, though, that the implications of the budget for front-line services are going to come under a lot of scrutiny.